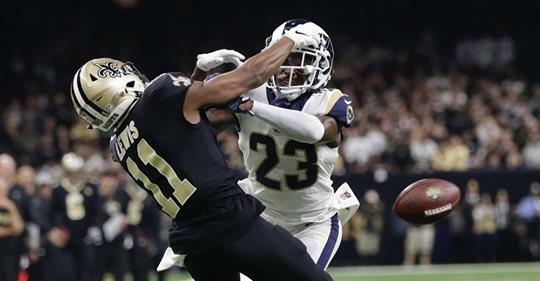 The suit is in direct relation to the NFL’s referee’s no-call, or refusal to flag, a PI, or pass interference, and helmet-on-helmet violation — witnessed by over 30 million people during Sunday’s Divisional game between the New Orleans Saints and the Los Angeles Rams. Civil District Court in New Orleans, located on Poydras Street, has published a copy of the lawsuit on its online database, and local attorneys are already discussing the outcome. Badeaux, Tommy, New Orleans Saints Ticket Holders, New Orleans Saints National Fan Base a/k/a the Who Dat Nation versus NFL Commissioner Roger Goodell, et al. An observation by New Orleans attorney Duris Holmes is that the NFL’s attorney is usually the same attorney retained by the Bensons and the Saints football team. A Writ of Mandamus was also filed, “a writ directing a public officer or a corporation or an officer thereof to perform” certain duties. That duty for a corporation includes, “the performance of other duties required by the corporate charter or bylaws,” as explained by leading attorney Duris Holmes via social media. New Orleans social media is abuzz at the legal ramifications and is already Monday morning quarterbacking the possible court rulings. Due to jurisdictional issues the case will likely be removed to federal court.